B Corp status is akin to a Fair Trade certification for businesses. Through meeting a set of rigorous criteria (from social and environmental performance to public transparency and legal accountability), Green Element demonstrates tangible support for the pioneering global #Bthechange movement: driving people to use business as a force for good. We are part of the Living Wage movement, guaranteeing that any person employed by Green Element be paid above the London Living Wage: we believe everyone can afford to help others have a decent quality of life. Any temporary staff – and our suppliers – are also paid fairly and reasonably. All our staff members spend one day a month working pro bono for registered charities they have chosen personally – these include the Wildfowl & Wetlands Trust, GHOF, KiteRight and the British Kitesports Association. We’re passionate about alleviating social injustice, and we take our social responsibilities seriously: we aim to support low-income customers, and it is our policy that the fees Green Element earns should be distributed fairly and thoughtfully. We hold certification of ISO14001 (UKAS-accredited Advanced Certification) and Green Element makes every effort possible to reduce its carbon footprint. We pride ourselves on achieving the best results for our clients – and our own EMS (environmental management system) is no different. As well as going above and beyond to surpass the requirements of current legislation, the prevention of pollution enshrined in our corporate philosophy is backed up by the genuine passion of our entire staff. 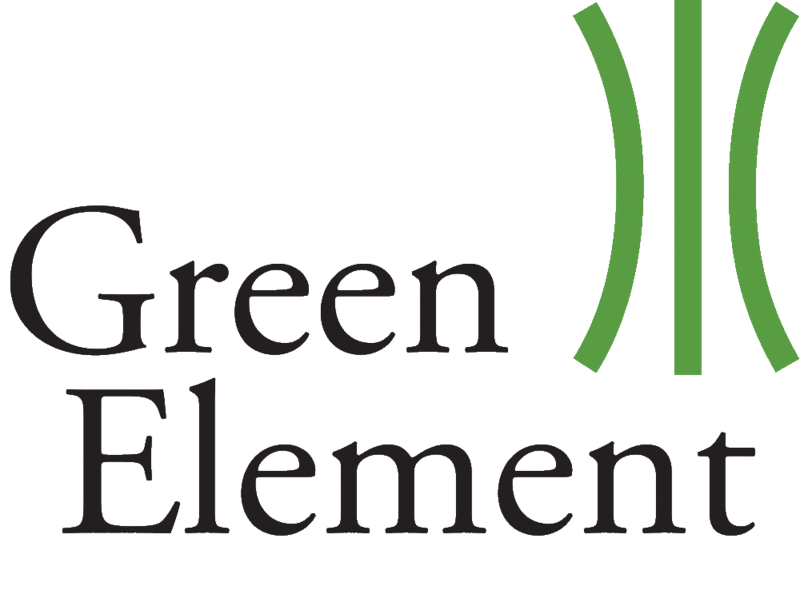 Green Element is an Environmental Management Consultancy based in London and Edinburgh. We offer services to all types of organisations from small SMEs up to large corporations. We are committed to encouraging businesses to develop their relationship with the environment. There are many benefits in doing so, including reduced overheads and improved ‘green’ credentials – powerful for financial growth and public and stakeholder opinion. The word ‘management’ within our company description is a vital differentiator. Although we are passionate about the environment we are driven by business objectives. We understand the challenges faced by companies of all sizes/sectors and tailor our services to fit. We work within your aims, your objectives, your culture and your timeframe. We genuinely care about the environment and pride ourselves on driving this same level of enthusiasm within our clients’ workforce. But we understand that any environmental project must motivate people, but not impinge on their work. Every staff member from cleaners to top management need to be engaged and we provide the impetus for inspiration, including key people in every element of decision-making implementation processes. We think outside the box – drawing inspiration from a wide range of sources, including our charity work, where we all spend at least one day per month volunteering at a charity of our choice. Our passionate and dedicated team of environmental analysts advise organisations on energy benchmarking and management, carbon footprint, energy procurement, environmental management and meeting statutory requirements. Click here to have a look at our services section of the website for more information. Where do we see Environmental Management in 10 years time? Where do we see Environmental Management in 5 years time? Founder and Managing Director William established Green Element in 2004 with a desire to help as many businesses as possible go ‘green’. A pioneer and early adopter of many now-mandatory environmental standards, his visionary approach and inspiring leadership is exemplary. He is also a current board member and former Chairman of the Metropolitan Branch of CIWEM (Chartered Institution of Water and Environmental Management). Authored article for the Law Society’s Legal Sustainability Alliance: ‘Implementing an Environmental Management System’. Presented paper as guest speaker at Renewable Energy Conference for Hampshire County Council: ‘The Pros and Cons of Large Scale Wind Turbine Projects and the Concept of a Wind Turbine Co-operative’. Runner-up in a national CIWEM competition, presenting a paper discussing car transportation: ‘Passenger Cars, CO2 emissions and energy: What is the future?’. Part-time lecturer at University of Brunel for MSc in Environmental Management for Business, specialising in ISO 14001. Senior Sustainability and Energy Analyst Emma has six years’ experience in the environmental and charitable sector, covering all levels from volunteer to trustee, consolidated by 15 years’ corporate experience. She is a GHG and carbon accounting specialist, as well as an expert in energy-specific quantitative analysis methodology and modelling. Read more about Emma Littlewood. Senior Environmental Management Consultant Matt has worked in the sustainability sector for over a decade. From promoting recycling on the doorstep and providing energy saving advice, through to pitching for large government contracts, Matt has had a broad experience of green policies and practice. Matt’s focus at Green Element is ensuring our clients get the best possible service. Environmental Analyst Consultant Nidhee Venkatesh has recently completed a Masters degree in Ecological Economics at the University of Leeds, where she has gained knowledge in sustainability and associated challenges, environmental modelling, valuation and cost-benefit analysis, and knowledge of global economics. Her research project focused on sustainability consultancies and the importance of considering the Triple Bottom Line (social, environmental, and financial) in their work, and the ‘value’ of sustainability. She has also competed her BA in Geography from University College London, and has had over two and half years corporate experience. Her interests lie in sustainable business, clean energy, and working for a sustainable future. Alex has experience across a number of industries including a commercial projects role with a large standards and certification organisation. He studied International Business and Environmental Management in Sydney, Australia. He has focused on incorporating sustainability into all aspects of business, especially focusing on operational efficiency and behaviour change. Sarah Pearl – Green Element Sustainability consultant. Sarah is an expert in waste and recycling. Following graduation, from Leeds University with a geography degree, Sarah worked for the Forest Service in Montana in their hydrology team. On her return to the UK, Sarah accepted the role of Minerals and Waste Consultant for The Mineral Planning Group. Following this, she became a Sustainability Executive for Paper Round (a waste and recycling company). Sarah has a broad range of environmental experiences and is well placed to provide valuable advice to businesses. Green Element strives to see things differently – to review life in fresh and alternative ways. We believe in helping our neighbours; reducing environmental impacts; and conducting our business ethically as well as professionally. We genuinely care about the environment and pride ourselves on driving this same level of enthusiasm within our clients’ workforce. But we understand that any environmental project must motivate people without compromising their work. Every member of staff – from cleaners to top management – needs to be engaged, and we provide the impetus for inspiration, including key people in every element of decision-making implementation processes. At Green Element, we practice what we preach – because life’s too short to think only of ourselves. We’re in this together. As well as implementing our own environmental policy, we’re proud to be a Certified BCorp; we’re a Living Wage Employer; and we’re committed to giving back through charity work. Please refer us as we will give £50 to a charity of your choice for every referral! Part of our vision – one we share with the RSA and which is eloquently explained in the video below– is to enrich society through ideas and action: invigorating local community, investing in people, and empowering and inspiring them to work confidently, collaboratively and creatively to drive innovation.